Number of devices to be included and subsequent volume. Ground-based concrete apron : 10×60 minimum lag bolt screws plastic anchors. Concrete or aluminium base : install a granular or compacted backfill. Riveted and panelled aluminium set. Three-point lockable 11 triangle retractable handle latch. EDF certified lock support refitting. 2 D1 vertical fixing rails in each compartment. Coating : powder resin coated polyester under three types of finishing: textured, smooth or parging. Range of RAL colours available on request. Standard protection: IP 44 IK 10. 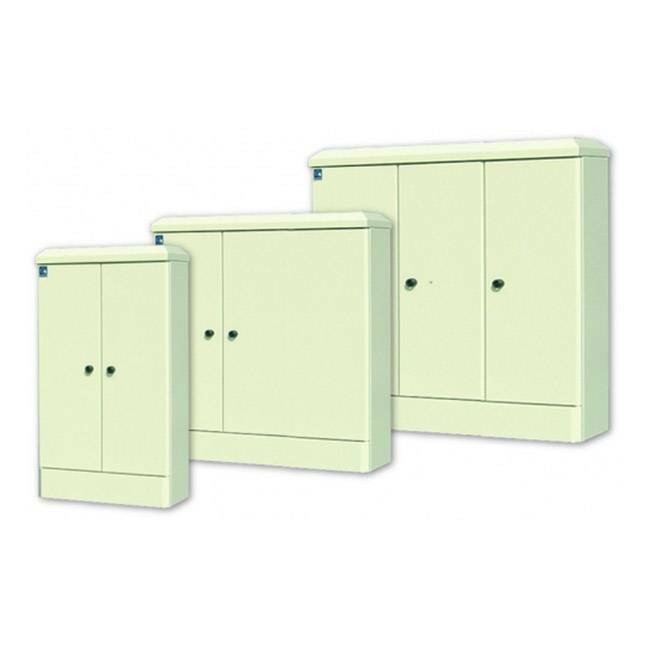 Interested in our public lighting outdoor cabinet ?